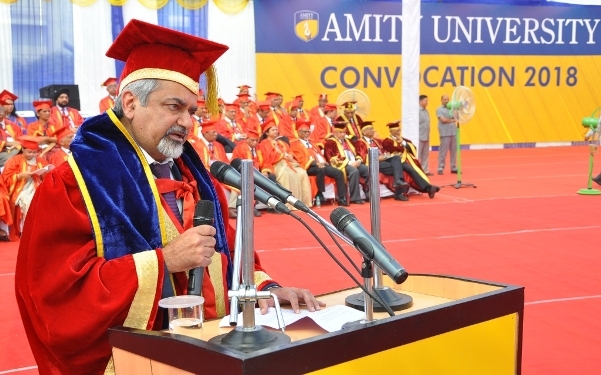 More than 2400 successfully qualified graduands of class 2018 received their degrees and diplomas enrolled under Arts, Humanities, Social Sciences, Law, Journalism Mass Communication, Fine Arts, Fashion Technology and others domain during the second day of “Convocation 2018” of Amity University, Uttar Pradesh at University Campus, Sector-125, Noida. 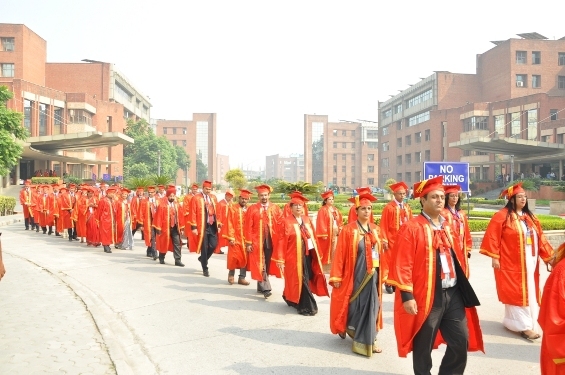 Graduands from over 40 Institutions came from different parts of the country, accompanied by their family members and friends who received their much awaited Degrees and Diplomas. 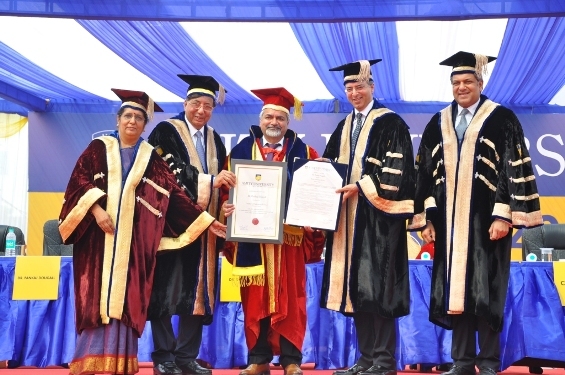 Dr. Pankaj Dougall, Head of Dept & Sr Consultant, Nuclear Medicine Services,Max Super Specialty Hospital, Saket; Dr. Vinay Aggarwal, Director, Crosslay Remedies Ltd and Dr. S K S Marya, Chairman, Bone & Joint Institute, Medanta Hospital were awarded Honorary Doctorate Degrees. 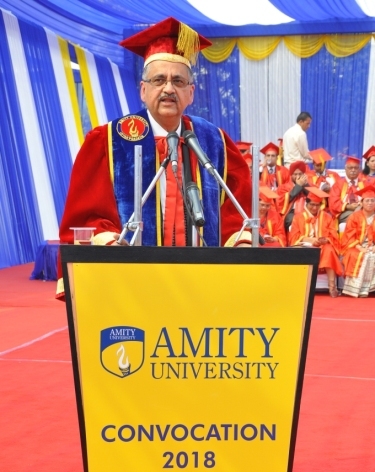 Blessing the graduands, Dr. Ashok K Chauhan, Founder President Sir, Amity Education Group shared that he is proud of Amity's Alumni who share the common vision of making India a superpower country. He opined that time has come for India to lead the whole world and advised the graduands to work with global perspective to succeed. Dr. Chauhan further urged them to have a mission in life which brings forth miraculous positive change in the world. "Don't have a mission less than being the best person and professional in the world." he emphasized. He stressed upon the importance of innovations and said that by encouraging innovation in young minds, nothing can stop India from becoming the first innovative country of the world. Dr. Pankaj Dougall, Head of Dept & Sr Consultant, Nuclear Medicine Services,Max Super Specialty Hospital, Saket said, “I am honored and privileged to receive an honorary doctorate from the Amity which is a prestigious education institution. 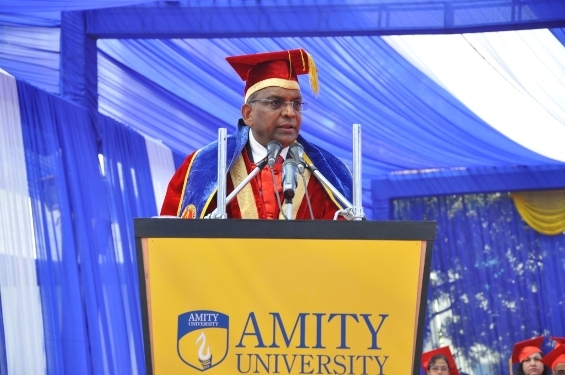 This marks a beginning to a long term and fruitful association with scientists, researchers, faculty members and students of Amity in times to come.” He apprised that 30 years back, due to lack of technological advancement there was dearth of medical institutions for nuclear medicine and also for medicines in general, but with time, the domain has evolved in leaps and bounds. He elaborated that due to the combined efforts and collaboration between medical professionals, radio pharmacist,biotechnologists, physicists and genetics several new isotopes, radio pharmaceuticals and sophisticated equipment have been developed, which paved the way for personalized medicine. Dr. Dougall pointed out that Radionics and Artificial Intelligence are the other areas of development and research in the field of imaging. He advised the graduands to imbibe the character of continuous learning as one tends to succeed when they keep learning. 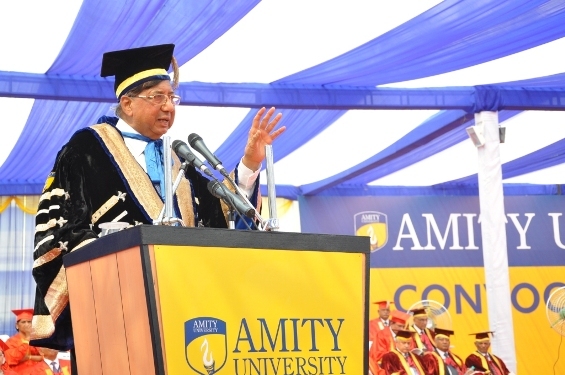 Delivering his acceptance speech, Dr. Vinay Aggarwal, Director, Crosslay Remedies Ltd expressed his humble gratitude for the honorary doctorate and shared some instances ofhis life that shaped his professional journey. Based on the instances, he suggested the graduands to never underestimate oneself at any point of time and never to get dejected by failures rather identify the problem to find sustainable solutions. Dr. Aggarwal briefed about various medico social projects he had been involved in such as Aao Gaon Chalein project to improve rural health, Anemia Free India project to create awareness about ill effects of anemia, launched initiative to spread awareness about HIV virus, Beti Padao Yojana wherein financial assistance was provided to employees with minor girl child for their education and many others. Wishing graduands best of luck for their future endeavors, he opined that real growth doesn’t happen when things are easy rather a person’s success is built on the challenges that he or she faces and tackles. 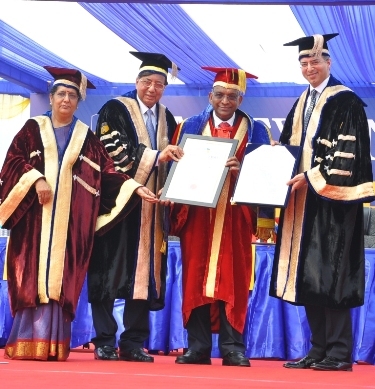 Accepting the Honorary Doctorate Degree with humility and gratitude, Dr. S K S Marya,Chairman, Bone & Joint Institute, Medanta Hospital said, "I came here to receive the honor but I am also taking back the words of wisdom by Dr. Ashok K Chauhan which has motivated me to have positive outlook towards every challenge in life." He advised the students to maintain child-like innocence which will lead to bringing joy, happiness and peace to the world. 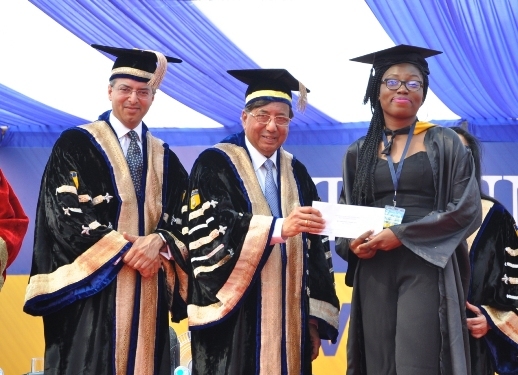 78 Gold Medals, 79 Silver Medals, 42 Bronze Medals and 26 PhDs were awarded to the meritorious students. 47 students were awarded Baljit Shastri Award and 18 students were awarded Best All Round Student Trophies.